FENDI Casa celebrates 30 years of elevated design by paying homage to three iconic pieces that each embody one decade of the brand’s history. Revamped to mark this anniversary and the next generation of design are the sleek and minimal Cosima dormeuse (1994), the undulating Eros sofa (2004) and the new One sofa (2018), each simultaneously a nod to the past and a gesture towards the future. Raffaella Vignatelli, President of Luxury Living Group, shares the brand’s history of commitment to quality and its decades-long position at the forefront of luxury design. How are you feeling in the midst of all the celebrations happening around the world in honor of the 30 years of FENDI Casa? FENDI Casa’s 30th anniversary is one of many milestones achieved by this collection, and I’m very proud about this. This is a triumph for this pioneering project in the field of luxury furnishings. 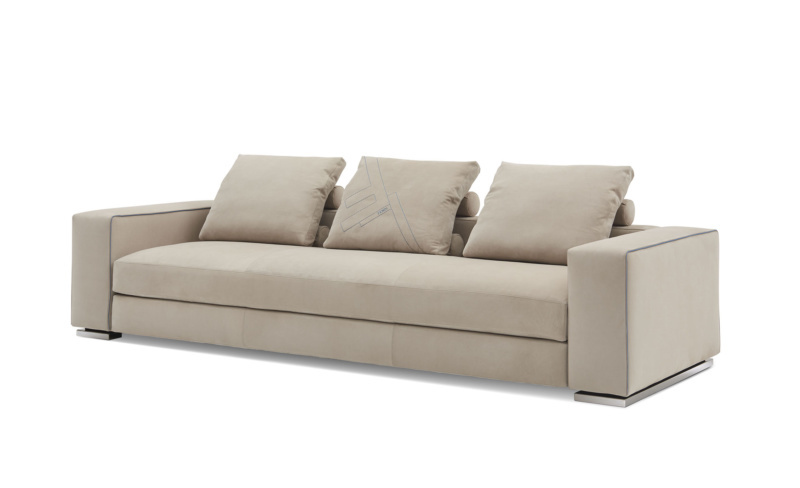 Founded in 1988, FENDI Casa was the brainchild of my father, Alberto Vignatelli, and Anna Fendi. For the first time, a fashion house launched a line of furniture and home decor accessories with a global vision. Above all, it is the story of intense, fruitful work to create an elegant style shaped by artisanal excellence and continuous experimentation, which has defined a new blueprint for living. A journey of growth and constant evolution marked by a love for beauty and creativity. Upholstered furniture—sofas and armchairs—is the heart of FENDI Casa. Over the years, the Roman fashion house’s distinctive style has inspired the furniture collection, creating a similarly sophisticated and timeless look. 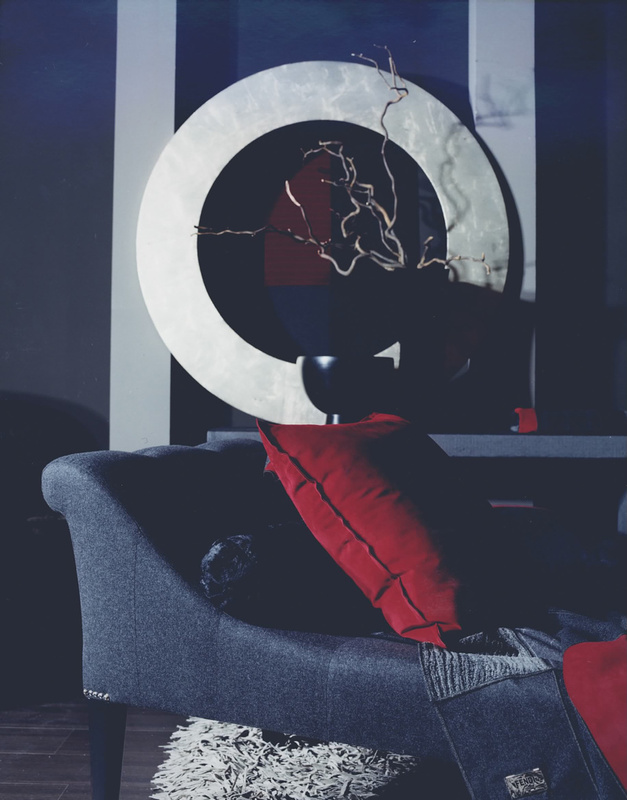 Can you tell us about the process of translating iconic FENDI Casa pieces into modern day staples? When dreaming up the new FENDI Casa collections, just as the other brands in our portfolio, we always focus on the future without ever betraying our past. Since the beginning, furniture and accessories by FENDI Casa express a lifestyle that is classical yet avant-garde, a balance between tradition and innovation. We chose to re-edit a few iconic pieces of the collection, such as the Cosima chaise longue or the Eros sofa, and focused on the upholstery materials and colors in a style that is faithful to the codes of contemporary design. The interventions have been minimal, precisely because the design of these two furnishings has immediately been synonymous with modernity. What is your approach to new collaborations? We are always open and looking for new collaborations and there are so many designers who over time have worked, or still collaborate, with Luxury Living Group. Toan Nguyen, Thierry Lemaire, Marco Costanzi, Dimitri Rybaltchenko just to name a few. Each one has outlined in their own way the codes of the brand with great wisdom and expressive ability. Just think, for example, to the work of Toan Nguyen for FENDI Casa, who has been able to re-read the stylistic features of the Roman Maison, transferring them to a collection of sofas and furniture with a contemporary design. I think, therefore, that collaborations with designers and architects are essential in the world of interior design, not to mention the internal creative teams of the company that represent a resource of unlimited value. How will you continue your father’s legacy in the creation of distinctive pieces imprinted with the Made-in-Italy DNA? My father was a pioneer in his field—an enlightened and creative entrepreneur. He anticipated the trends of interior decoration, enhanced the authenticity of Made in Italy, and was able to create real bonds with his collaborators and with the many people he met. Today, together with Olga Vignatelli and Daniele Vignatelli, who together with me form the Group’s board of directors, we continue this legacy giving our interpretation to what has been passed on to us—above all creativity, the search for beauty and the passion for design.